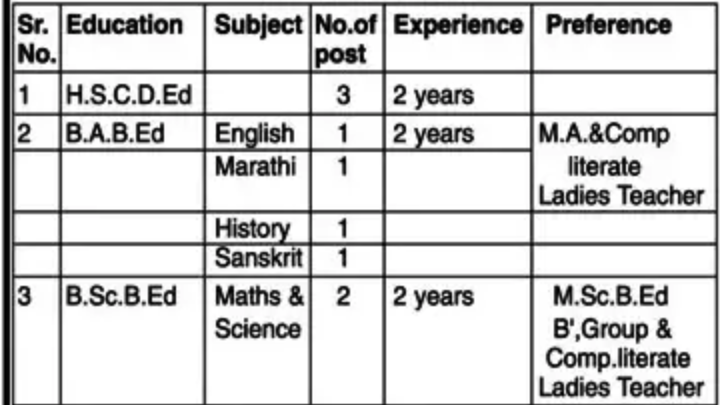 Nutan English Medium Primary/Secondary School, Kurduwadi has advertised in THE LOKMAT newspaper for recruitment of Teachers jobs vacancies. Interested and eligible job aspirants are requested to apply before 30th April 2018. Check out further more details below. 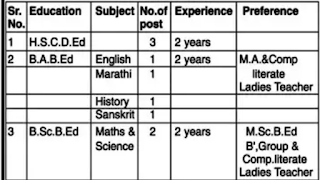 Name of the School: Nutan English Medium Primary/Secondary School, Kurduwadi. 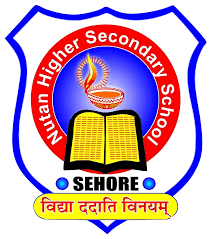 About School: NUTAN ENGLISH MEDIUM was established in 2008 and it is managed by the Private Unaided Management. It is located in urban area . It is located in MADHA block of SOLAPUR district of MAHARASHTRA. The school consists of Grades from 1 to 6. The school is co-educational and it has an attached pre-primary section. However; it does not have separate teachers for pre-primary section. The school is non-residential in nature and is not using school building as a shift-school. During the previous academic year; the school functioned for 228 days. It had 1 academic inspection and was not visited by the CRC Coordinator during the previous academic year. It was 1 time visited by the BRC Coordinator. How to Apply: Those candidates who are not interested may apply with hand written application and relevant testimony before 30 th april 2018.